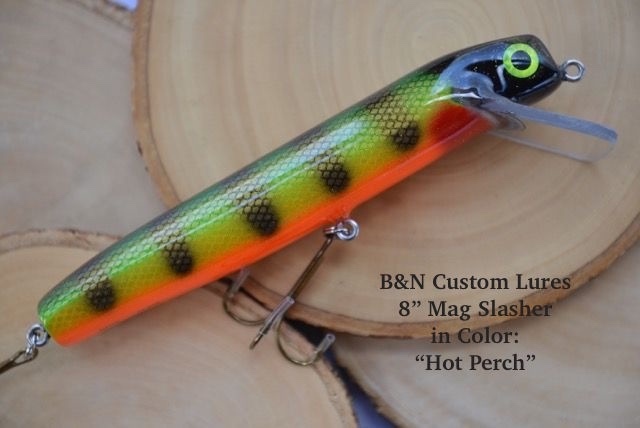 You are bidding on a custom B & N Lures 8" Magnum Talonz Slasher in Color: "Hot Perch"
This Slasher is 8" long and built from Western Red Cedar. Features a square lexan lip, stainless steel hardware. 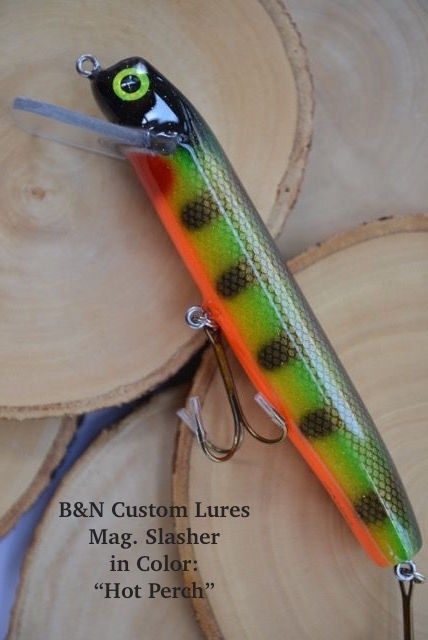 The Slasher series is a Lake St. Clair style trolling lure. They have been designed with wander, durability and beauty in mind. This Slasher is 8" long. 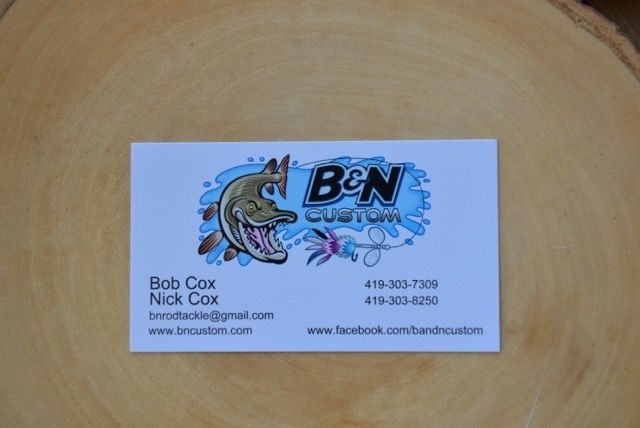 Proven on Lake St. Clair and many other lakes since 2006. Trolls to 5mph, best at 4.3mph This is a mid depth model reaching 7 to 9 ft. trolled. 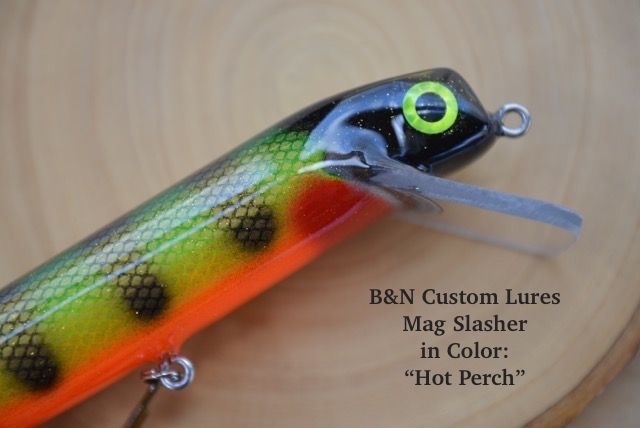 Thank you Bob and Nick at B&N Custom Lures for this awesome donation!